In the business world, managing all the expenses associated with corporate travel is essential to preserving a company’s bottom line. A managed travel program identifies travel specifics, such as preferred hotel brands, airlines, per diems for meals, and other expenses. While a managed travel program is a great start to controlling travel expenses, finding the best deals when it comes to employee travel itineraries is a time-consuming and sometimes difficult task. Using a business travel agency can help save you time and money, and will ensure the continued successful implementation of a manage travel program. As you prepare to transition your business to a managed travel program with a business travel agency, there are a few steps you should take to ensure a successful employee adoption and compliance to your new travel program. Before you can move forward with creating a partnership with a business travel agency, it’s important to get an accurate understanding of your current corporate travel situation. 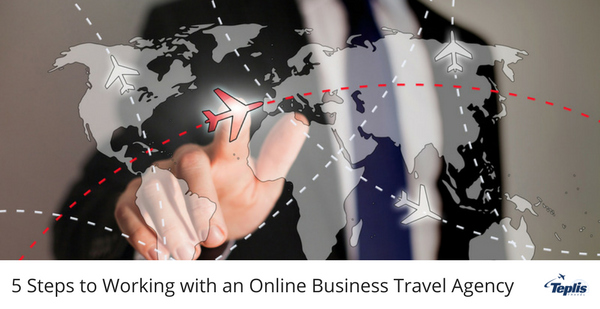 By understanding your current travel habits and areas of improvement, you and your new business travel agency can work together to create policies for a successful travel management program. Working with a business travel agency comes with many advantages, but don’t lose sight of the fact that you’ll be asking your employees and administrative staff to modify or abandon patterns of behavior that they may have been operating under for some time. Take the time to identify what pain points your new managed travel program will resolve, as well as what perceived benefits employees may be losing. If the way travelers book or pay for travel will change, be sure to identify areas where extra training or reinforcement of new policies will be needed. Consistent communication encourages employee involvement, which is critical to ensuring the successful implementation of a managed travel program. Key stakeholders and company leadership should emphasize the importance of the change and why it was made. When discussing the change, keep the focus on the benefits it brings to travelers, travel arrangers, and the company as a whole. The new booking process may seem daunting to travelers, which is why it’s important to offer numerous training options to empower employees and administrators. As you implement the changes and transition to working with a business travel agency, be mindful of employee feedback so that you can make any necessary adjustments and continue building traveler acceptance of the new program. Your business travel agency will be your strongest ally when it comes to changing your travel process, because they’re uniquely positioned to recognize marketplace trends and advise on best travel practices. For a custom business travel management program that’s tailored to match your company’s travel needs, contact a Teplis Travel expert today.